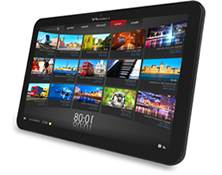 Present your products or services online with a 'brochure website'. Sell your products & take payments online. Our four core service areas Website Design, Domain Name Management, Hosting & Online Marketing combine into integrated solutions. 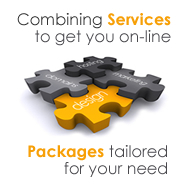 While the above packages are tailored to suit typical scenarios, our range of services can be 'picked & mixed' to suit individual needs, so please don't hesitate contact us to discuss your particular requirements. Our abilities and experience in integrating and managing the above for a wide range of clients means you can confidently rely on us as a 'one-stop-shop' leaving you to focus on other aspects of your business. Contact us & we'll develop a proposal for getting a web site working for your business. Feel free to browse our Toolbox resources for 'website design & development' & 'online marketing', where we explain many of the key principles of developing your business online. Our portfolio showcases a collection of websites we're designed & developed for clients over the past decade. If you would like to receive infrequent news about online marketing, legislation, Eqwebs Ltd or anything else relevant to web management then sign up to our mailing list. Its easy to subscribe and unsubscribe.